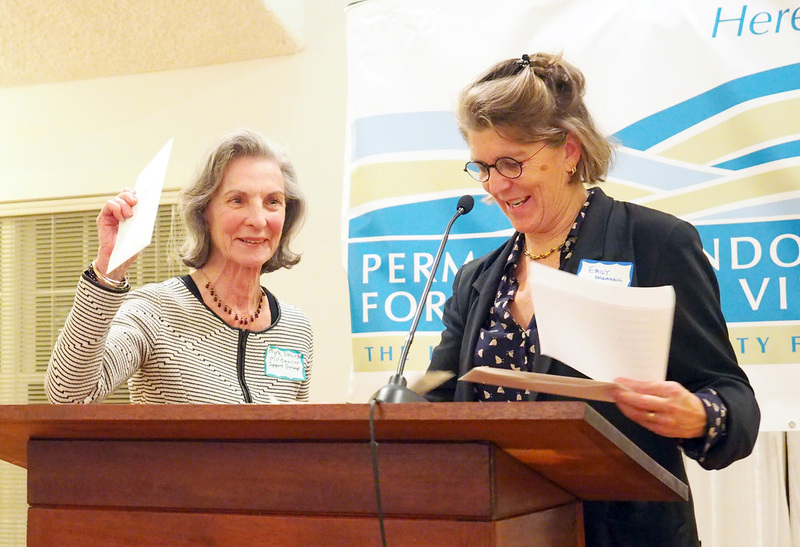 The Permanent Endowment held its inaugural Grants Award ceremony on Tuesday, November 15. Over 125 people braved the rainy weather and gathered at the Hebrew Center to hear from 25 of the Island’s creative, hardworking and dedicated non-profits that had received grants from the Permanent Endowment’s Endowed and Donor Advised Funds, as well as from the Cape and Islands United Way. $155,000 was awarded to Island organizations, with grants ranging in size from $1,586 to $28,000. A representative of each non-profit was on hand to describe their organization as well as the purpose of the grant they received. The breadth and range of the organizations and the work they do was truly inspiring and reinforced for all those in attendance the richness of this Island community. Read the Vineyard Gazette story here.